Ed Rickards, the author of Duke Check—a blog that comments on Duke’s affairs and its administrators—died at 1 p.m. Wednesday due to renal failure. He was 72. Rickards…was more commonly known on campus among his sources and readers as Fact Checker. Starting off several years ago as a regular commenter on The Chronicle—where he once served as editor-in-chief—Rickards eventually created his own blog in August 2009 to comment on Duke affairs. Since then, Duke Check has grown in popularity with his posts running a wide array of topics, from Duke Kunshan University to the search for the new provost and even Duke football. I started DukeCheck — originally Duke Fact Checker — because of a lack of transparency and accountability on the part of the school’s administration. You may want to review this Chronicle profile, especially the comments from the late law professor John (Jack) Johnston, about the need for such a column and my goals. I want to provide stakeholders in Duke — students, parents, faculty, alumni, workers, everyone — with the information so that they can participate and have their thoughts count. I really do not care if they agree with me or not, just so long as they step forward. “We may have had our differences on issues, but I always admired, and never questioned, his lifelong passion and love for Duke,” wrote Michael Schoenfeld, vice president for public affairs and government relations, in an email Wednesday. We are saddened at Rickards’ passing, and hope that one of his Loyal Readers will take up the cause. Perhaps some alum can be persuaded to contribute an investigative reporting scholarship to the Duke Chronicle. Rest in peace, Ed Rickards. Thank you for your article & remembrance. On the 2011 The Chronicle profile, I think Mr. Rickards was being modest when he asked not to be held to the same standards as writing a term paper or for the NYT. I think he was quite conservative and careful in his evidence? I agree, you are kindred spirits, concerned with the quality of the scientific process. Ivan: I appreciate your article and remembrance. I communicated with Ed Rickards regarding the Anil Potti scandal. I found that Mr. Rickards was careful and considerate (with soupcons of humor and irony) in his Duke Check publications. Sadly, we have lost another lion who was dedicated to seeking out the truth. Thank you for publishing this obituary. I am sorry to hear about Ed Rickards’ death. I started reading Duke Fact Checker when I was working on a project for work 3.5 years ago, followed along to DukeCheck, and never stopped reading. 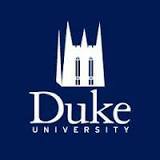 I feel like I know more about Duke than any school I actually attended or worked at. I read the blog because I appreciated the passion and personality it expressed.